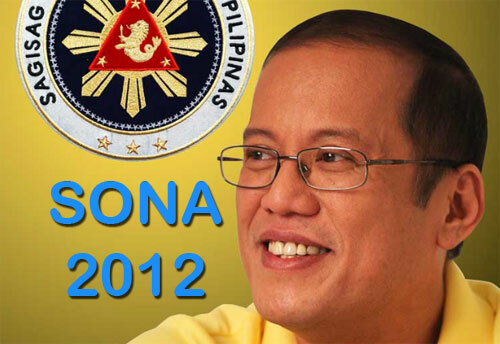 This coming Monday, July 23, 2012, our President Benigno "Noynoy" Aquino III is set to deliver his 3rd State of the Nation Address (SONA) together with the opening of 3rd session of the 15th Congress. The President will announced the current status of our country under his administration and other related topic about our country. You will find here the complete write-up of the president SONA. Deputy Presidential Spokeswoman Abigail Valte said, "So far, the speech is on its fourth draft and more than 30 pages long." But according to Valte, she did not confirm yet if the entire SONA will be delivered in Filipino. Meanwhile, Press media group are now preparing to cover SONA 2012 on Monday. Some Networks confirmed that they have access to the live coverage and news updates for the President Aquino’s SONA. If you want to know more about the SONA 2012, just bookmark this page and keep visit this site for the legal live streaming of the 2012 State of the Nation Address. Comments or suggestions about "SONA 2012 - Ulat sa Bayan" is important to us, you may share it by using the comment box below.